Every girl knows that mascara plays a very important role in achieving best eye makeup. So, I have collected some of the mascara hacks which gonna help you all. These secret hacks can take your eyelashes from wimpy to wow. Try to replace your mascara in every 2-3 months because fresh mascara always delivers the most impact. And if you feel wasteful doing this then remember that even the eye doctors recommend you to change your mascara in every 3 months. Mixing up 2 mascaras at the time of application will give your eye lashes a look that’s completely unique. Even I do this same thing and my favorite combination is volumizing mascara mixed with lengthening mascara. It’s totally your choice what type of mascaras you want to mix it like lengthening mascara with a curling mascara etc. Apply the mascara you like best first like lengthening and then go back over it with the second mascara like curling for a final coat. This tip is great for girls who have tiny lashes near the inner corner. Try to apply your mascara in a vertical manner where you have tiny lashes. This is also the best way to apply your mascara to your bottom eye lashes. If your mascara mistakenly touched your skin then cleaning up is a very tough job. Rather than try to smudge your mascara with your fingers always try to use this strategy. 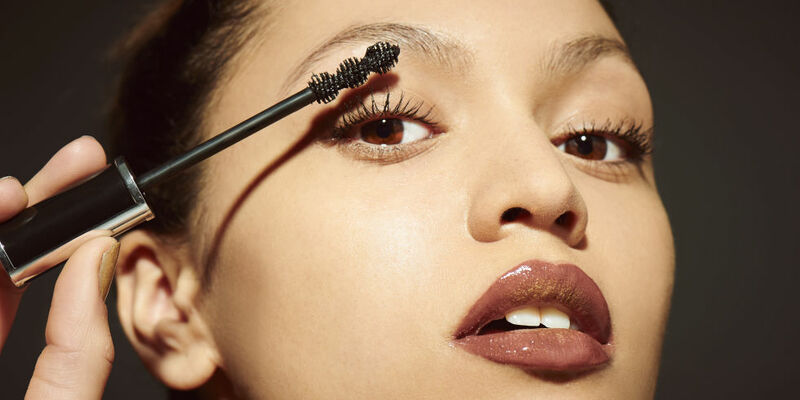 Use a dry q-tip to clean your mascara marks from your skin. Simply dab it over your mascara mark and it will come right off. If your mascara has finished and you forgot to buy new one then this trick really gonna help you out. Tightly closed your mascara bottle and put it in a cup of hot water for a few minutes. This gonna helps you to thin out your mascara which is enough for your application. You want a perfect defined lashes which are separated evenly and look so beautiful. So, here’s the trick for you girls. Save your old mascara brushes and clean them properly. They are really perfect for separating any clumps you may have. When you are applying your mascara coats always make sure to coat your eye lashes with a thin layer of baby powder (paying special attention to the tips) because it gonna help the second coat of mascara to stick more and enlongate your eye lashes.